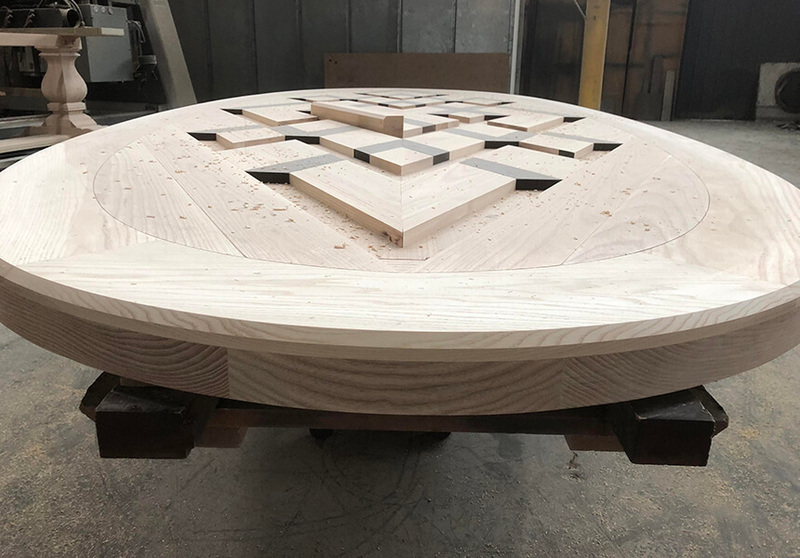 French Tables delivers design artistry with no limitations, uncompromising quality, and intimate service, direct from the designer and maker Mark Alexander. 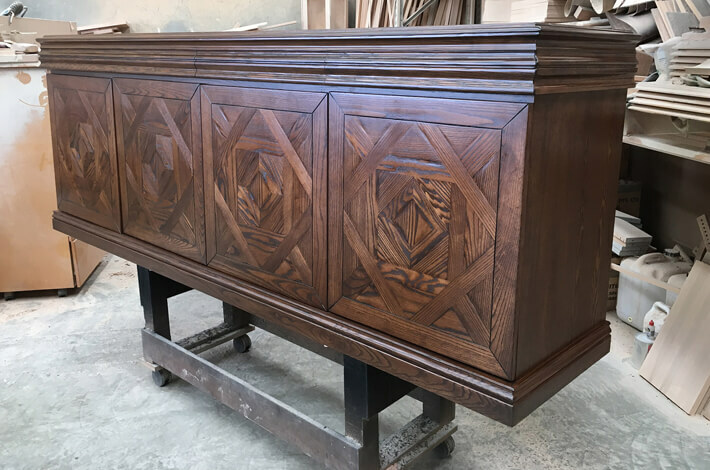 Small enough to pay attention to every intricate detail and deliver an intimate and personalised service, our team of designers and craftsmen are also skilled and experienced enough to produce unrivalled custom-made products and expert interior advice and solutions. 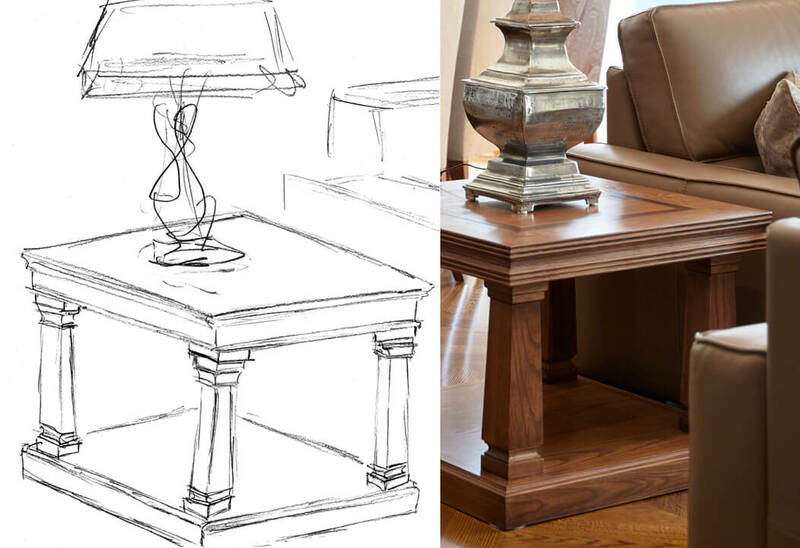 We put your needs first, and each project is imagined and constructed in close collaboration and consultation to bring your vision to life. 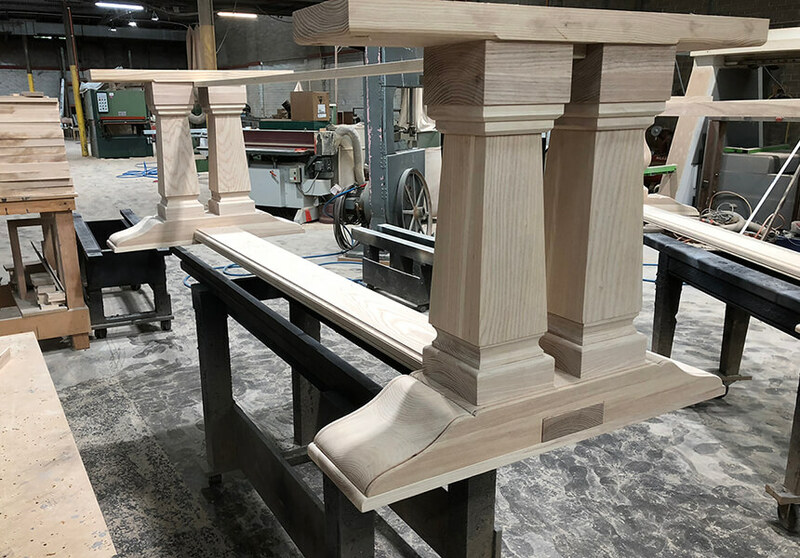 Every order undergoes a meticulous design and development process, to understand your unique specifications and preferences and produce one-of-a-kind tables, chairs and sideboards to perfectly suit your home’s personality, architectural style and environment. 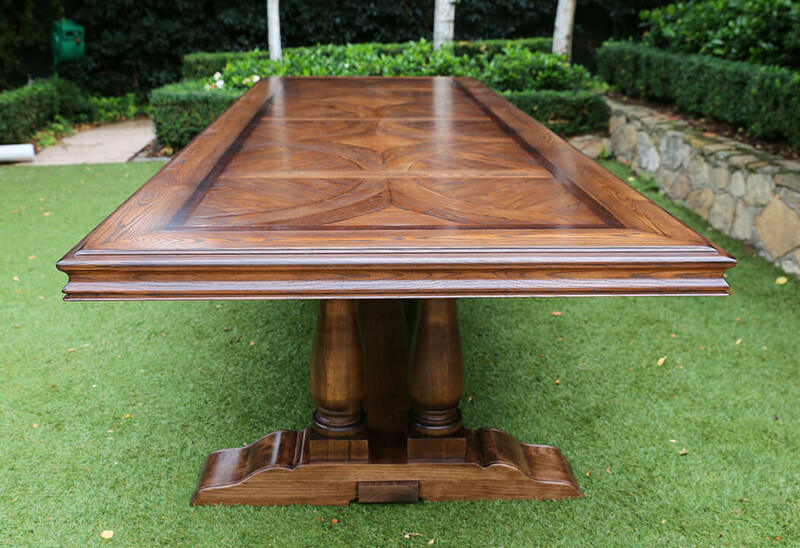 French Tables furniture is exquisitely custom-made and available direct from the manufacturer. 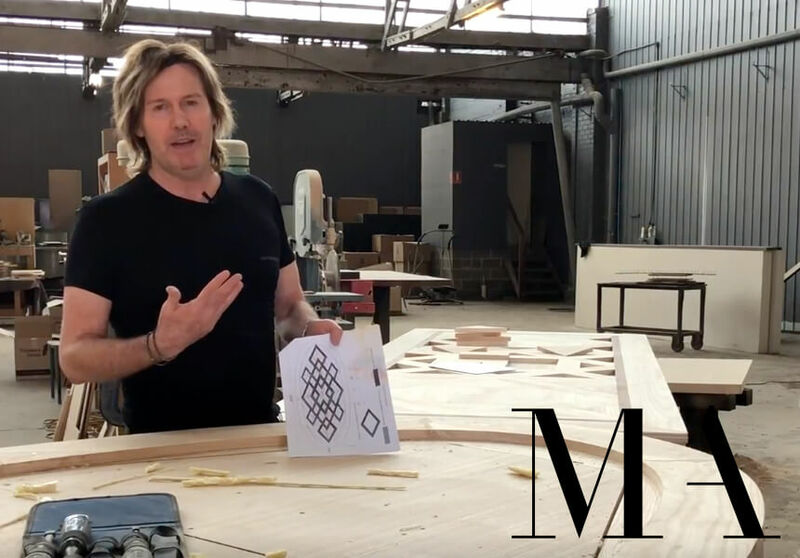 Australia wide and international design consultations are welcome. 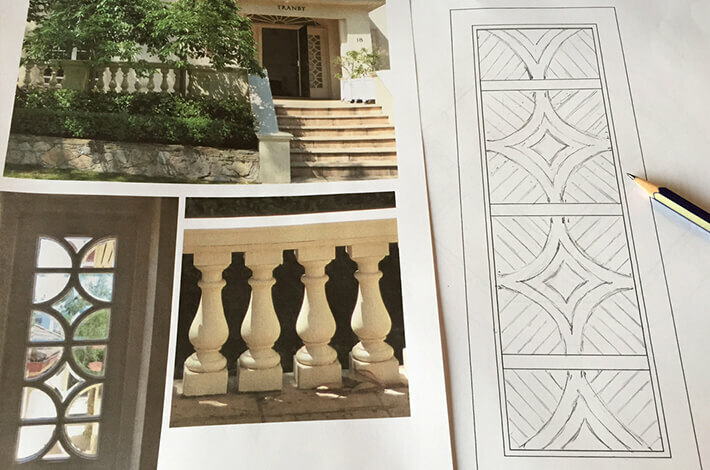 An initial concept sketch is drawn by our talented and creative designer Mark Alexander, following an initial consultation which will determine your specific size, shape, style, design of leg and base, colour, parquetry pattern and fabric requirements. 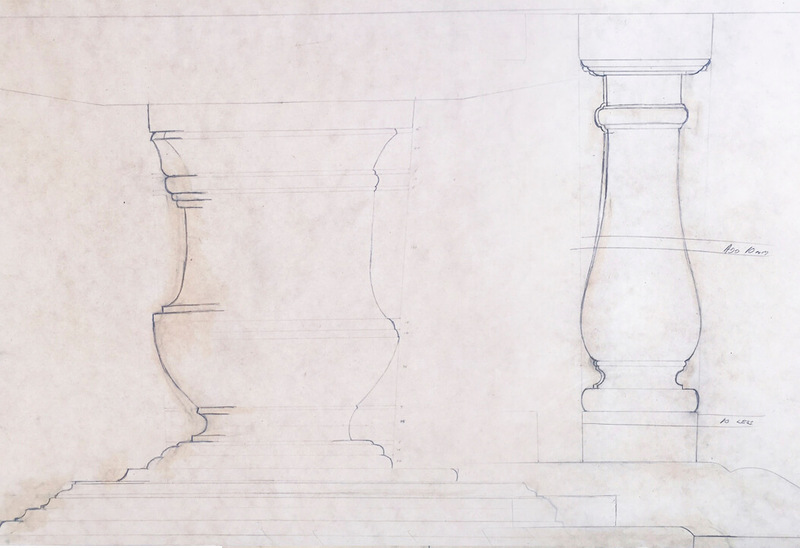 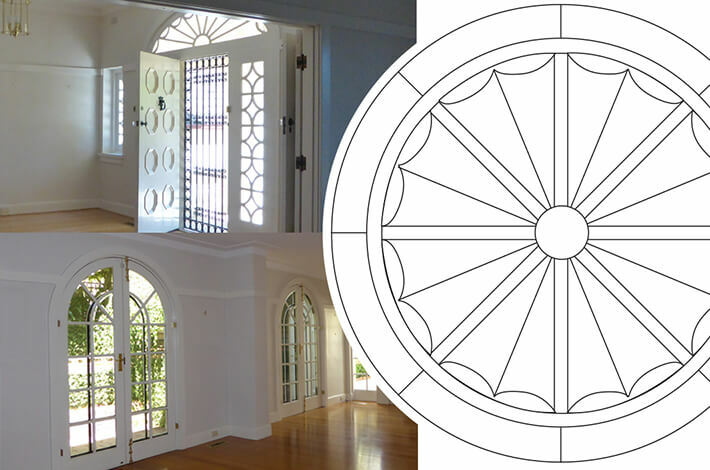 The concept sketch is then developed into a detailed scale drawing to the exact dimensions of selected table length and width. 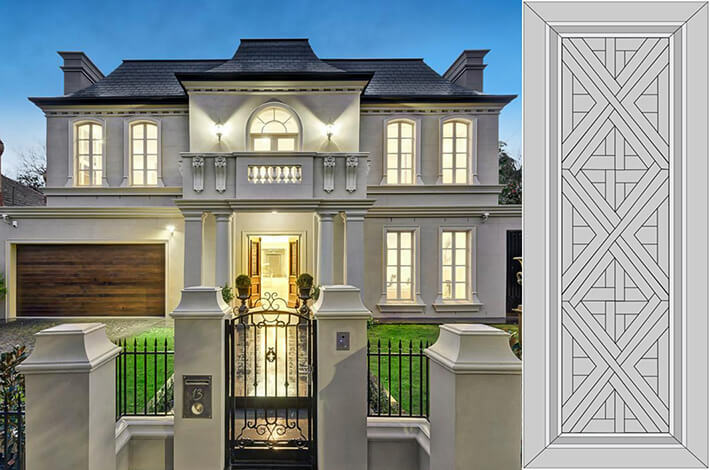 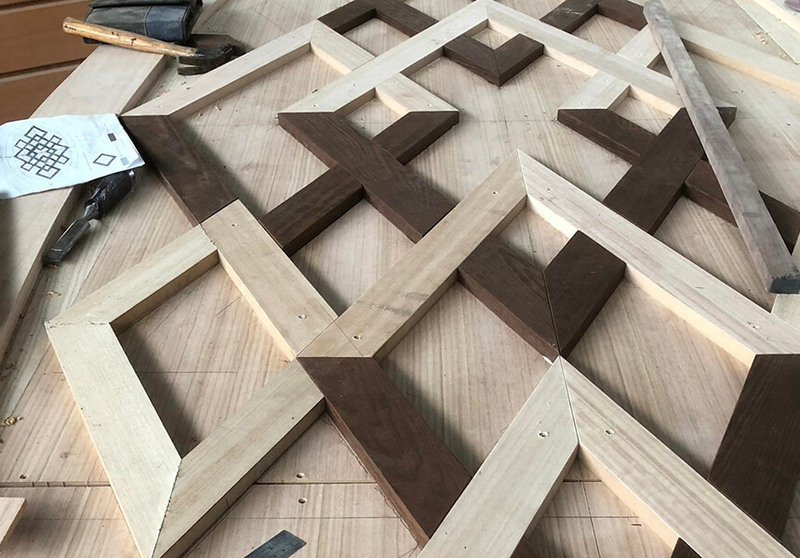 Your bespoke parquetry pattern is carefully mapped out and designed to complement your home’s unique style and environment. 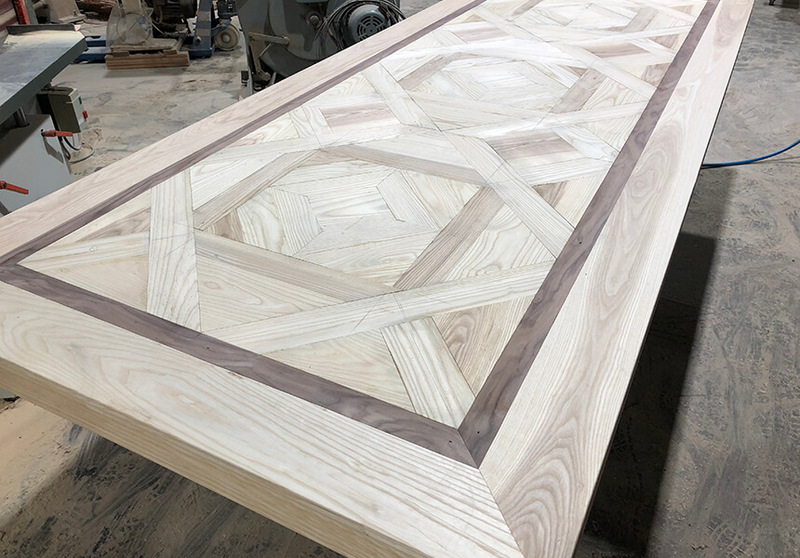 Further customisation of the materials, base style, parquetry pattern, final finishes and any other custom details you would like can be made, to ensure every piece of French Tables furniture is one-of-a-kind and given its own distinct character and style. 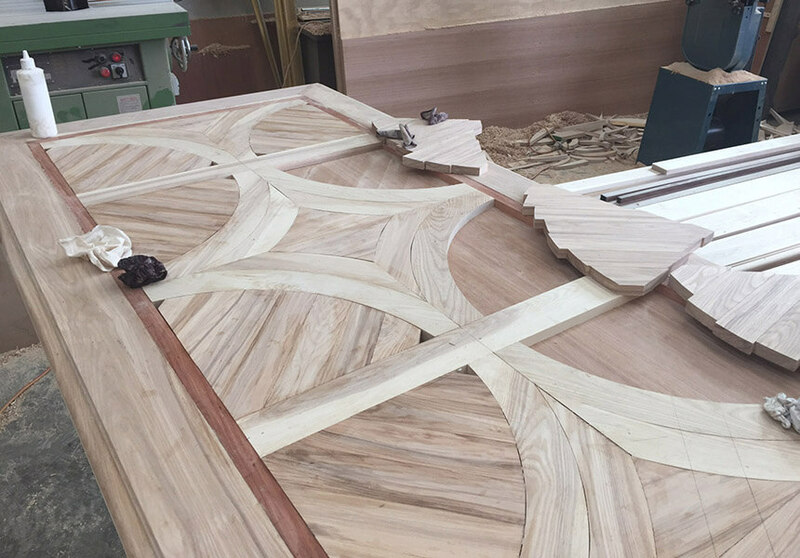 In the production stage, each individual piece of timber is carefully and accurately handcrafted by our skilled artisans, and the entire project is personally overseen by Mark Alexander to ensure the highest quality workmanship and finishes are applied. 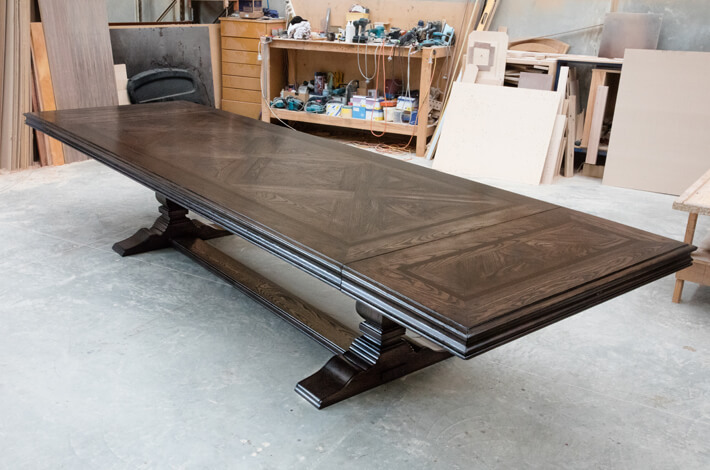 Your chosen colour and finish is precisely applied by hand using a lengthy and meticulous French polishing technique – where many thin layers are carefully rubbed into the timber, slowly building up the polish to deliver depth and lustre, completed in an Italian wax to achieve a liveable everyday finish. 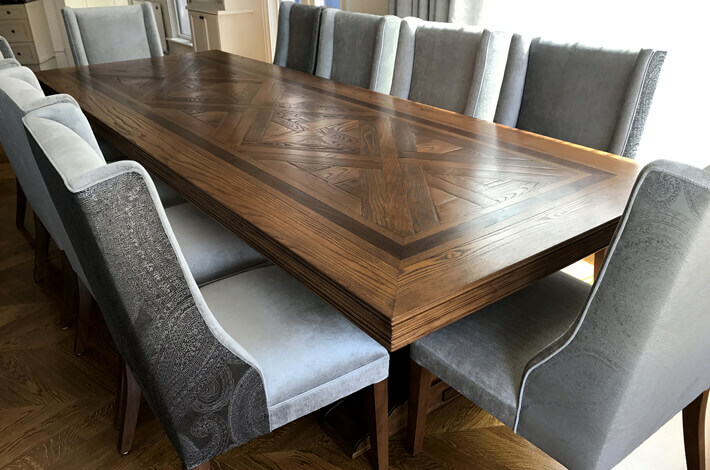 Once your French Tables furniture is complete, we will arrange the careful transportation and delivery by our experienced team, and can provide further advice and support on the best placement, styling and maintenance of your bespoke table, chairs or sideboard.